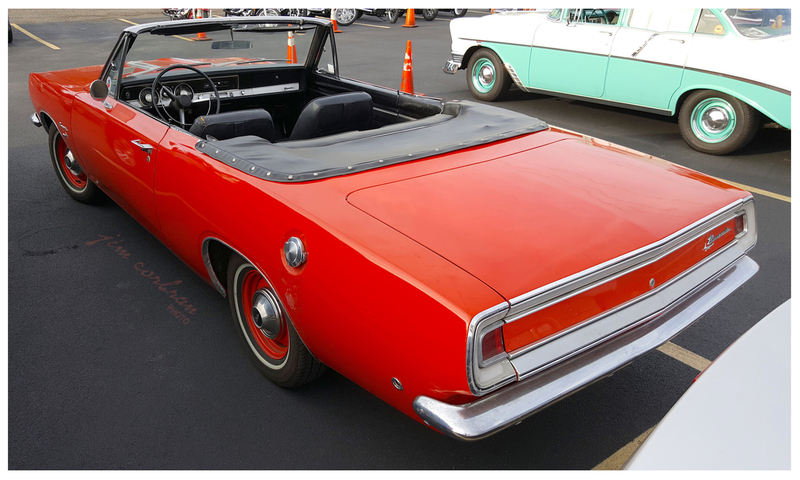 Here’s another example of why at car shows I also make the rounds of the attendees’ parking lot. 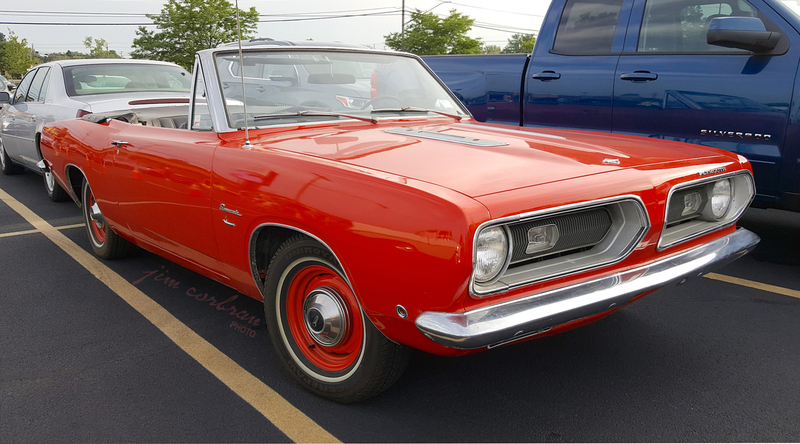 This nifty-looking 1968 Plymouth Barracuda was spotted a few weeks ago on a Friday evening at Striker’s Lanes in West Seneca during one of their weekly cruise-ins. This one’s unusual as it’s wearing a set of dog dish hub caps. A look at the ’68 Barracuda brochure points out that four different sets of full wheel covers were optional that year, but my very own unscientific survey shows that you almost never see these standard poverty caps (as some call them), especially with body-colored steel rims and whitewalls. I like the look!